The steam condensing unit is delivered installed in Sammic rack conveyor dishwashers. To avoid steam without having to install an extraction hood. 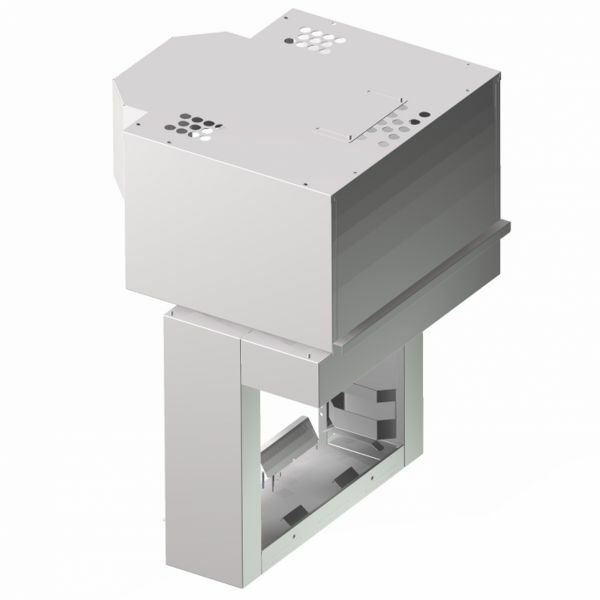 Its design allows the increase of water inlet temperature and sends it to the rinsing circuit. This function allows to save energy and recover a big percentage of water destined for steam condensation. 0.75 kW fan in vertical position and motor with double retainer prevents water leakage into the motor. Removable filter to avoid fat leakage.